A nurturing, enlivening treatment with an inspiring, feminine fragrance. Proven to boost cell regeneration in naturally ageing skin. The pomegranate, punica granatum, although from the outside it looks brittle and dry, conceals a surprisingly rich and plump interior with countless seeds, each cushioned in juicy red flesh and resembling small, jewel-like berries. Protect your skin’s natural beauty with a daily draught of pure, rich oils. Wise pomegranate keeps moisture where it is needed, in the secret heart of the fruit, and we press the oil carefully from the seed for its antioxidant and balancing qualities. Rejuvenating oils of jojoba, sesame and macadamia blend with fruity-fresh, sweet notes of orange, davana and vanilla. A harmonious sensory feast of perfume and skin-sensation – for radiant results. Stimulates cell renewal, antioxidant, protects from drying out and premature ageing of the skin. Smoothes skin and increases firmness. Excellent tolerance even for sensitive skin. Certified natural, free from synthetic preservatives, fragrances, colourants or raw materials derived from mineral oils. Natural cosmetics are not always natural cosmetics. 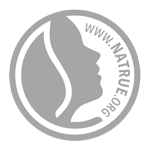 NATRUE is the first internationally recognised quality seal for organic and natural cosmetics and thus creates clarity in the label ‘jungle’. Any products featuring the label of NATRUE guarantee the highest standards. 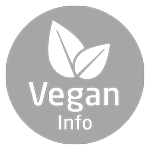 Products that are marked as vegan don’t contain any raw materials derived from animals. All Weleda cosmetic products and foods are suitable for vegetarians abstaining from meat and fish. The yellow to reddish coloured, relatively thick Pomegranate Seed Oil is one of the active agent oils and is rich in the rare punicic acid (an unsaturated fatty acid). This valuable vegetable oil also has antioxidant properties that improves the regeneration of the skin and is therefore considered to be an outstanding skin care product for dry, aging and stressed skin. Jojoba Seed Oil is an oily liquid wax that is very similar to the protective layer of the human skin. At the same time, it supports the barrier function of the skin. Thereby it protects the skin against water loss without leaving it greasy. It is very skin friendly, easily absorbed and is therefore a suitable care product for all skin types, especially for dry skin. It is also very suitable as a foundation oil, which does not go off. synthetic preservatives, fragrances, colourants or raw materials derived from mineral oils. As a daily body care treatment, massage a small amount gently into damp skin after a bath or shower, using a circular motion, always towards the heart. For a relaxing bath, mix two capfuls of the oil with half a cup of milk.